Our 100% Cotton Poplin Fabric is the highest quality. It has a beautiful smooth, soft finish and is very easy to sew. Because of its manufacturing process, it tends not to wrinkle easily, and is somewhat water and stain resistant. Although 100% cotton poplin is more expensive than a polycotton blend, the expense is usually considered worth it, since poplin tends to wear well and is easy care. 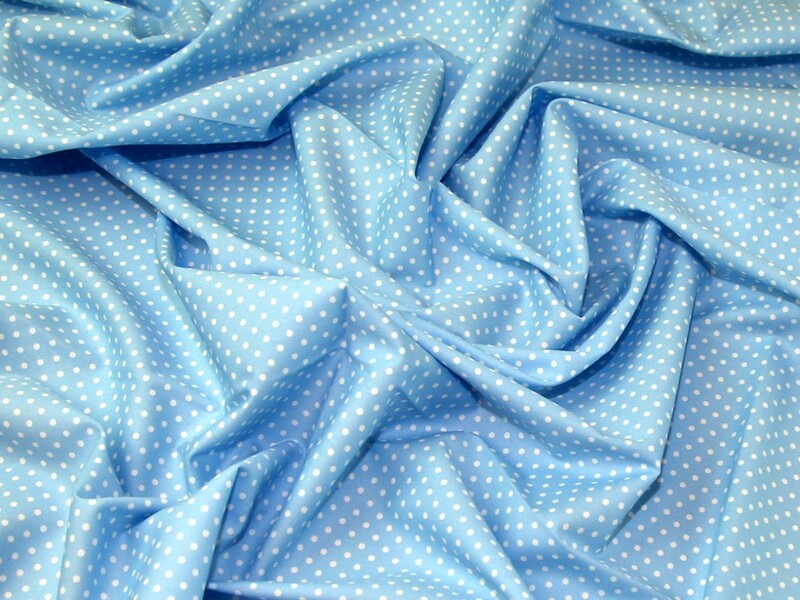 Our poplin is a medium weight, non stretch and machine washable. It is an extremely versatile fabric and is used for anything from clothing (skirts, tops, dresses, shirts, shorts, pyjamas etc), to handbags, cushions and accessories to baby and childrens wear, banners, tablecloths, bedsheets, bedlinen, and is extremely popular for patchwork and quilting!